Republican lawmakers have scuttled Gov. Ralph Northam’s proposal to ramp up state funding for affordable housing, a move that’s irked advocates hoping for more state help as Amazon starts to move into Arlington. GOP leaders in both the state Senate and House of Delegates have now put forward budget proposals without the $19.5 million spread across two years Northam had hoped to see flow into the Virginia Housing Trust Fund, a program offering low-interest loans for developers hoping to build reasonably priced housing. 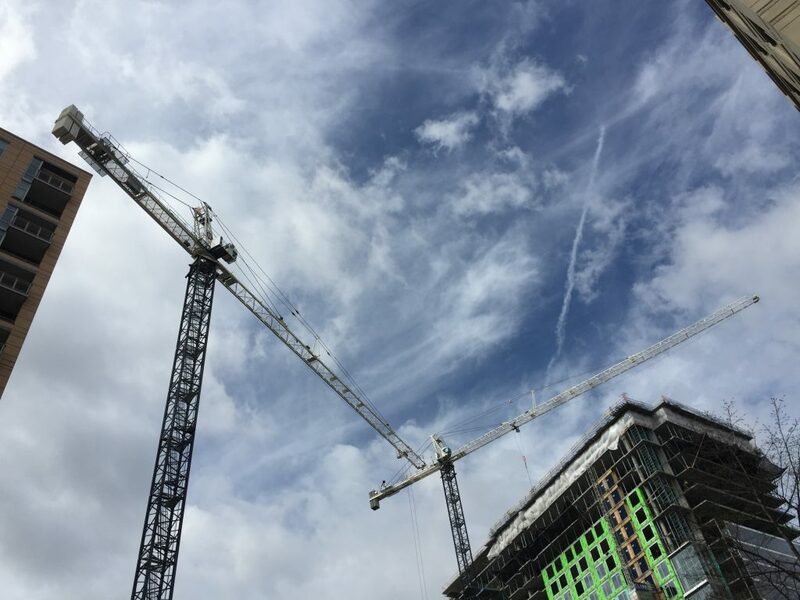 Though the fund would be available to applicants across the state, the governor’s effort to massively ramp up cash flowing into the fund was broadly seen as a small way the state could prepare for Amazon’s expected impacts on the housing market across the Northern Virginia region. “We are outraged that selected members of Virginia’s money committees stripped this critical support for housing for Virginia families,” a coalition of 40 affordable housing advocacy groups wrote in a statement. Signatories include the Arlington Partnership for Affordable Housing, the Arlington Housing Corporation, the Alliance for Housing Solutions, the Arlington Street People’s Assistance Network and the Northern Virginia Affordable Housing Alliance. “At a time when the state is approving $50 million in subsidies to Micron and $750 million to Amazon, it is wholly appropriate and necessary to invest $19.5 million in housing,” they wrote. The Senate’s proposed budget includes just $1 million for the fund over the next two years, while the House proposal includes no cash whatsoever. Northam had planned to fund the increase as part of a suite of proposals to use $1.2 billion in new revenue generated by the federal tax reform passed in 2017. But Republicans, who hold narrow majorities in both chambers in the General Assembly, have been steadfast in removing those spending proposals from the budget as part of a broader fight over the tax revenues, arguing that the state would be better served by sending the money back to some middle-class taxpayers. Del. Alfonso Lopez (D-49th District) was hoping for an even larger, $50 million influx into the fund on a one-time basis, yet that push is seemingly facing an uphill battle given the latest GOP budget proposal. He’d also proposed a bill to establish a permanent funding stream for the fund to avoid yearly appropriations battles, but that died on a party-line, 4-3 vote in a House subcommittee.
.@Lopez4VA: "Doubling down on the Trump tax scheme is not more important than helping vulnerable populations secure affordable housing in localities across the Commonwealth." House GOP budget cuts the VA Housing Trust Fund for affordable housing. The budget is still a long way off from being finalized, however. The House and Senate still need to reconcile the differences between the two proposals and, ordinarily, Northam would have a chance to negotiate for his spending priorities with Republican leaders. But with the governor still facing pressure to resign, and Virginia’s two other top elected officials now engulfed in scandal, there’s no telling just how the remainder of the General Assembly session will play out. It’s currently set to wrap up on Feb. 23. Healthy Paws: Can I Catch MRSA from My Pet?